Heart problems are distressingly common in people who have a stroke. If you have a stroke, both you and your doctors need to be particularly vigilant about your heart during the acute phase of the stroke, during the recovery period – and thereafter. Several kinds of heart problems are commonly seen in people who suffer a stroke. These include myocardial infarction (heart attack), heart failure, and cardiac arrhythmias - especially atrial fibrillation, ventricular tachycardia, and ventricular fibrillation. Heart problems associated with strokes may be caused by the stroke itself or may be caused by the same underlying process that produced the stroke (most commonly, thrombosis of an artery). Or, the heart problem may occur first, and the stroke may result from it. (This is most often seen when atrial fibrillation produces an embolus to the brain.). So whenever a stroke is complicated by a heart problem, it is very important for the doctor to make every effort to sort out cause-and-effect. This understanding is necessary so that the most effective therapy can be chosen to hasten recovery and prevent more problems in the future. As many as 13% of stroke victims aged 60 or older will also have a heart attack within three days of the stroke. Conversely, it is not unusual for a heart attack to be quickly followed by a stroke. Because many patients with an acute stroke may have difficulty perceiving or reporting the symptoms of a heart attack, the heart problem may go unnoticed. Therefore, it is critical for doctors caring for stroke patients to monitor them carefully for signs of cardiac ischemia. This includes checking ECGs at least daily for the first few days and monitoring cardiac enzymes for signs of heart damage. It is not entirely clear why acute heart attacks and acute strokes occur together so often. It is likely that some people who have atherosclerosis may go through periods of time in which the risk of thrombosis at the site of any atherosclerotic plaque is particularly high (for instance, for a day or two after smoking a cigarette). Since plaques are often found in arteries supplying both the heart and the brain, during such high-risk times strokes and heart attacks may occur nearly simultaneously. It is especially important for doctors treating an acute heart attack to make sure that the patient is not also having a stroke before they use thrombolytic drugs (that is, “clot busters”). While dissolving a thrombosis in a coronary artery is often therapeutic, dissolving a thrombosis in a brain artery may lead to brain hemorrhage and a dramatic worsening of the stroke. Finally, the very fact that a person has had a stroke places them at high risk for a future heart attack. This is because, in most cases, stroke is ultimately caused by atherosclerosis, the same disease that also leads to heart attacks. So most people who have survived a stroke are extremely likely to have significant coronary artery disease (CAD), and they need to undertake aggressive efforts to reduce their future cardiac risk. Stroke can be associated with new or worsening heart failure. Heart failure can result if a stroke is accompanied by a myocardial infarction. Further, the stroke itself can directly cause weakening of the heart by producing a dramatic increase in adrenaline levels (as well as other, less well-defined neurological changes). These changes can cause significant cardiac ischemia (lack of oxygen in the heart muscle) even in people without CAD. The heart damage caused by this “neurologically-mediated” cardiac ischemia, which tends to be permanent, is distressingly common in young, healthy people who have stroke due to subarachnoid hemorrhage. Stroke is also associated with transient “cardiac stunning,” in which a portion of heart muscle suddenly stops working normally. This condition, which is probably identical to so-called “broken heart syndrome,” can produce episodes of severe, but temporary, heart failure. Significant cardiac arrhythmias are seen during the first few days in 25% of patients admitted to the hospital with acute stroke. The arrhythmia most frequently associated with stroke is atrial fibrillation, which accounts for more than half of stroke-related heart rhythm problems. Life-threatening arrhythmias may also occur, including ventricular fibrillation and cardiac arrest. In many cases, such potentially lethal arrhythmias are due to long QT syndrome, which may result from a stroke. Significant bradycardia (slow heart rate) can also occur after a stroke. Usually, the bradycardia is transient, but occasionally significant heart block may be seen, requiring insertion of a pacemaker. Serious heart problems are all too common after a stroke. 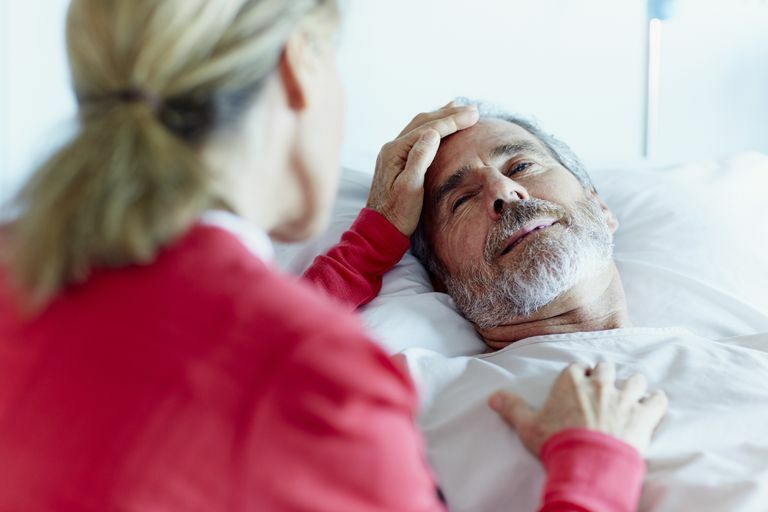 Anyone suffering a stroke needs to be carefully evaluated and monitored for at least several days for the possibility of myocardial infarction, heart failure, and cardiac arrhythmias. And because a stroke itself often indicates that you are at high risk for future cardiac problems, aggressive steps to reduce your cardiac risk become especially critical if you have had a stroke. Touzé E, Varenne O, Chatellier G, et al. Risk of Myocardial Infarction and Vascular Death After Transient Ischemic Attack and Ischemic Stroke: a Systematic Review and Meta-Analysis. Stroke 2005; 36:2748. Kumar S, Selim MH, Caplan LR. Medical Complications After Stroke. Lancet Neurol 2010; 9:105. Samuels MA. The Brain-Heart Connection. Circulation 2007; 116:77. What Is a Diffusion-Weighted MRI?